Home / Uncategorized / Daily Debate: Heat or Knicks, Who Will Win Tonight? Daily Debate: Heat or Knicks, Who Will Win Tonight? Linsanity takes its talents to South Beach tonight, as Jeremy Lin, Carmelo Anthony, and Amar’e Stoudemire of the New York Knicks face the Big Three of the Miami Heat, LeBron James, Dywane Wade, and Chris Bosh on a nationally televised game on TNT. Who will win, the Miami Heat or the New York Knicks? Voice your opinion on the Razz and Jazz Sports Blog Daily Debate. Next Story → Daily Debate: Who Is the Real Jeremy Lin? Knicks win. Carmelo has a “breakout” game lol. And is finally himself again. Guess that didn’t work out to well for the Knicks, huh? The Knicks always seem to play well against the Heat. I expect they will play well this game as well. The thing to watch is if the Knicks are shooting the 3 well. The Heat, for all their talent, cannot defend the 3 well at all. If the Knicks are hitting, then they will win and I think they will. I’m going with the Knicks tonight. You picked the Knicks too? Shame. 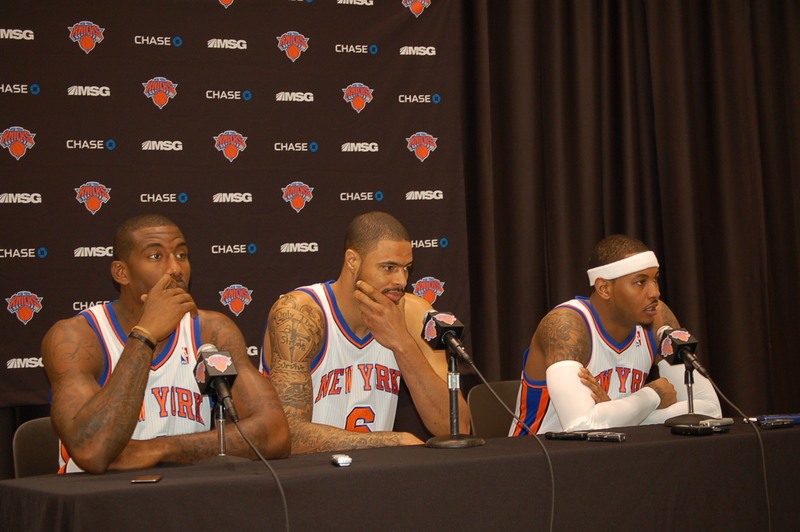 When I heard they were being asked questions about Lin I knew the Knicks would be in trouble. What a game that was! Ben though it wasn’t close, the Knicks always seemed like they were in it. Lin surely struggled, so it’ll be interesting to see if he can rebound from this bump in the road.